3. Application: Geological prospecting, water drilling etc. 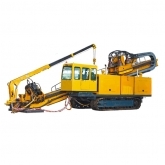 XY-150 drilling rig is a new-type, portable engineering drilling machine for multiple applications.